Hello! As some of you may know, I was lucky enough to win a Chanel polish in February's MeeBox (full post here). 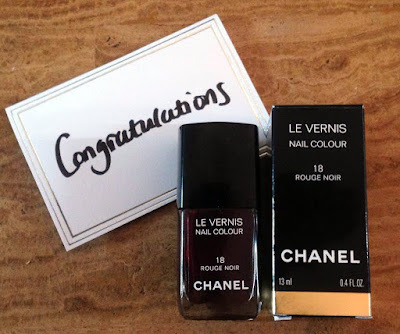 'Rouge Noir' was snuck into 5 subscribers boxes, and I was one of them! I promised it would be the first polish I used, so here it is! Read on for swatch pictures and to find out more. 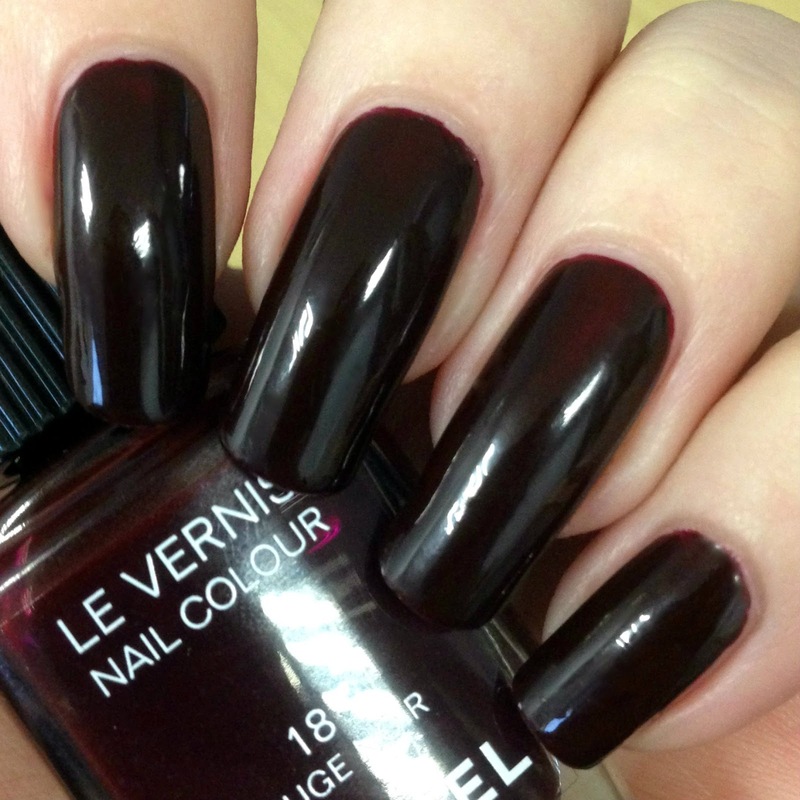 'Rouge Noir' is a deep vampy burgundy red creme. It was smooth and easy to apply, although just slightly on the thicker side. I actually prefer the thicker formula as stays where it's put (doesn't run/pool) and is very opaque. The first coat was a bit patchy but a second evened everything out. Shown below is two coats and topcoat. 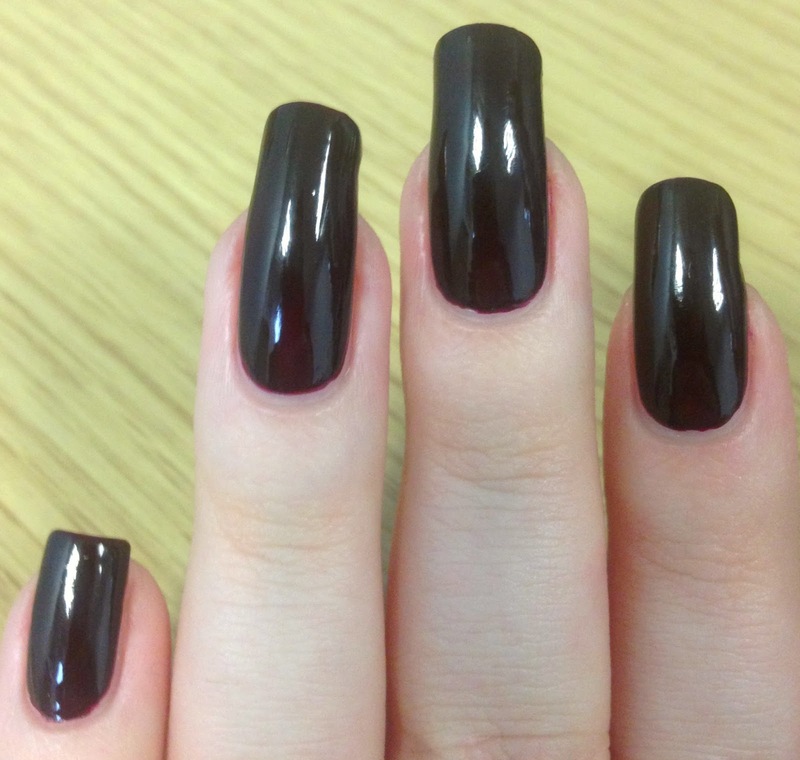 I think this would be a great colour for the autumn/fall, or whenever you're just feeling something dark. It does tend to look black in some lighting although you can normally see hints of red. It can give pops of colour where the light strikes, which I really like. What do you think? Do you own any Chanel polishes, or want to? I'm so grateful to the lovely ladies over at MeeBox, and I hope my swatches did the polish justice! You can find Chanel's 'Rouge Noir' (and other shades) for £17.50 online at Boots here. Wonderful swatches, and I love this dark burgundy shade. It would be a perfect base for nail art instead of regular black.